With a nine-hour drive between Spokane and Aberdeen, Idaho, “Classics 6: Bach, Beethoven and Shostakovich” isn’t exactly a hometown performance for guest conductor Daniel Hege, who moved to Aberdeen when he was 9. Nevertheless, Hege considers himself a child of the West, having grown up in Denver, which he said has a Western feel thanks to the Rocky Mountains. Plus, his parents are flying up for the weekend concerts, Saturday and Sunday at the Martin Woldson Theater at the Fox, bringing an even bigger sense of home to Spokane. Hege’s first time with the Spokane Symphony was conducting works by Mozart, Mendelssohn, Ravel and Sibelius in 2011. He and music director Eckart Preu have kept in touch over the years, and Hege brought Preu to Wichita, Kansas, where he is music director of the Wichita Symphony, a few years ago for a guest conductor gig. Hege remembers being immediately impressed with the Spokane Symphony in 2011, which made it easy to say yes to returning to Spokane as a guest conductor. The two B’s bookend Dmitri Shostakovich’s Chamber Symphony. Hege likens a concert program to a complete meal and said it’s best to have variety when deciding on a repertoire. There are many ways to theme a concert, Hege said. You can choose to focus on a certain composer or group together works with similar titles or those inspired by nature or literature, for instance. In the case of Classics 6, Hege sees Bach’s Orchestral Suite No. 2 and Beethoven’s Symphony No. 5, one of the most frequently played symphonies, as setting the framework for the program. Shostakovich’s Chamber Symphony acts as a mid-concert palate cleanser. Hege has worked with all three of these pieces before, calling them familiar friends of his, but he doesn’t mind the repetition as revisiting a work allows him to discover something new about the piece. Plus, the prior knowledge of each piece lets him start on a higher level when looking for deeper interpretations of the works. 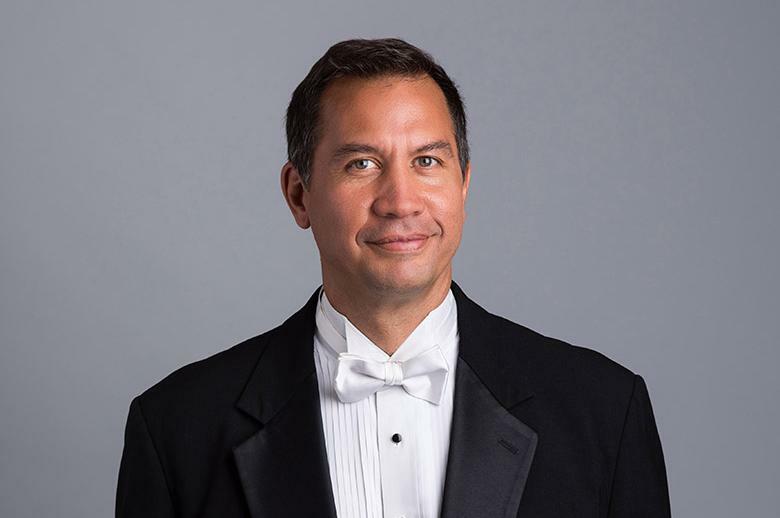 With a schedule as full as his, Hege, who also acts as the principal guest conductor of the Tulsa Symphony in Oklahoma and the Binghamton Philharmonic, in New York, is used to working while on the road. His time in Spokane, for example, comes in the middle of a three-week stint guest conducting symphonies across the country. He often travels with the scores he needs for several weeks of guest conductor gigs, plus those he’ll need for performances back home in Syracuse, New York. It’s a challenging schedule, and Hege misses his wife and three daughters when he’s away from home, but he knows he gets as much as he gives. Published: Feb. 8, 2018, 1:08 p.m.